For the first time in eight years there’s a new No. 1 boy’s name out there, according the list of Top Baby Names of 2013 released by BabyCenter on Tuesday. The annual list says Jackson is the new No. 1 boy’s name, ending Aiden’s lengthy eight-year reign as No. 1 and bumping it now to No. 2. For girls, Sophia holds on tight as the No. 1 name for the fourth year in a row. Other boy’s names that cracked the top 10 include, in order: Liam; Lucas; Noah; Mason; Jayden; Ethan; Jacob; Jack. After Sophia, the top 10 girl’s names include: Emma; Olivia; Isabella; Mia; Ava; Lily; Zoe; Emily; Chloe. 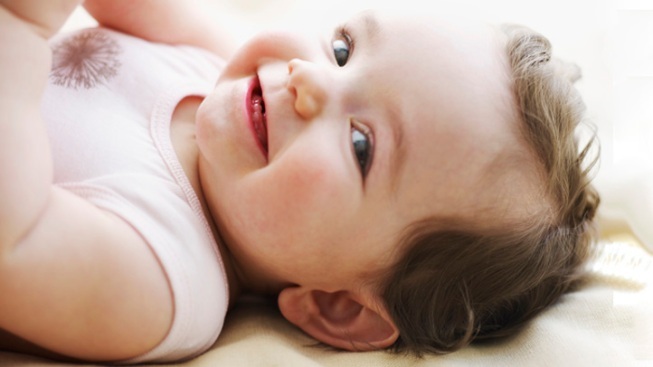 The annual list includes the top 100 baby names of 2013 based on the names of 555,000 babies born this year registered on the BabyCenter website. The full list can be seen here. BabyCenter says family names are trending this year, with more parents looking to grandparents’ and relatives’ names for inspiration. Still, pop culture also seems to have a major impact on baby naming trends, according to BabyCenter's research. This year, the hillbilly hit series “Duck Dynasty” seems to be influencing parents. Like one of the series stars, the name Korie rose by 89 percent in 2013, followed by Mia with a 44 percent rise, Phil with a 32 percent rise, Sadie with a 23 percent increase and Silas, up 15 percent. With a little influence from across the pond, the Royal family’s little prince, George of Cambridge, has also influenced naming trends – but in an unexpected way. BabyCenter says the name George is up 37 percent, but as a girl’s name. It’s up 10 percent as a boy’s name. Also, believe it or not, the name Kanye – as in rapper Kanye West – rose nearly 40 percent in popularity this year, up 2,228 spots on the list. The name West is also up by 22 percent, while Kim, as in Kim Kardashian, is up 12 percent. Still, few parents are naming their kids after the famous couple’s baby girl, North West. BabyCenter says it doesn’t have a single baby named North in their database. The HBO hit, “Girls,” is also impacting some parents’ naming choices, with some of the characters’ names gaining ground. Shoshana jumped up 67 percent in popularity, while Marnie rose 62 percent and Zosia rose 46 percent. Lena, as in “Girls” star Lena Dunham, is up by 26 percent, but her character’s name, Hannah, is down by 10 percent. Finally, stars behaving badly this year also saw a drop in the popularity of their names. The name Reese – as in Reese Witherspoon – plummeted 45 percent, Amanda, as in Amanda Bynes, dropped 37 percent, Paula, as in Paula Deen, slipped 20 percent and Lindsay, as in Lindsay Lohan, dropped 17 percent. Oddly enough, however, the name Miley – as in wild child Miley Cyrus – skipped up 16 spots on the girl’s list. Still, it didn’t crack the top 100.